TEGUCIGALPA, Honduras, January 15, 2019 – Due to the social commitment of Terra Group with its collaborators and the communities where it has a presence, Terra Foundation was born in 1998, a social outreach organization of Terra Group and its companies, as executor of the corporation's development programs. Since then, Terra Foundation has benefited thousands of people throughout its history, providing them with better life opportunities through the tools necessary to shape their future, based mainly on education. Terra Foundation was also created to support community infrastructure works, as well as the logistics required for the Pre-Basic Centers and the Tutoring and Follow-up to Excellence Scholarship programs, all after carrying out a study in the areas where it has influence. One of the main objectives of Terra Foundation is to encourage each member of the corporation the desire for improvement in their personal lives, creating a chain of responsibility between the company, the employees and the people who depend on them. Based on programs of education, social development and community bonding, Terra Foundation maintains its actions by taking each of them as a key factor to contribute to the development of people and their communities. Pre-Basic Centers, through them, seeks to improve educational quality in the preschool stage, where children develop their physical and cognitive skills, receiving comprehensive care in spaces and suitable environments. Tutoring Scholarships is a program of school reinforcement that contributes to the learning of children in the subjects of Spanish and mathematics and, with this, is possible to reduce the indexes of repetition in the first school years. With the support of the children tutors, the reinforcements are given to the students, who are also in charge of supervising the progress and objectives achieved on a weekly basis. In addition, this program encourages solidarity, respect, trust, honesty, commitment and a service attitude, encouraging both parties – teacher and student – with the aim of achieving excellence. As a next step, Follow-up to Excellence is the program that gives special follow-up to all young students, with an average age of 16 years, who have participated in Terra Foundation education programs and have maintained their high averages within this academic training. SAE is a three-year extracurricular training program that is aimed at young people of academic excellence who were participants in the tutoring fellowship program and who maintain their high performance in secondary education. Its aim is to train young people with competition at a personal, academic, social and professional level that will provide them with greater opportunities to enter the labor market, contributing to improve their quality of life and their families. SAE currently promotes skills and trains young people in technology and English, as well as reinforces their values to help them grow and, thus, have greater and better job opportunities. It is worth mentioning that Terra Foundation also has a pilot educational center. This project is called “Integral Development Key Center,” which seeks a five-year coordinated intervention with the objective of converting it into a model educational center through the implementation of a comprehensive operational and academic management strategy that will increase educational competencies, both for the teacher and for the student, and also improve their academic performance. With social development as a pillar, Terra Foundation, since 2014, has supported 168 employees who lived in vulnerable conditions. Thanks to this, they actually have a better quality of life, offering their families safe housing and better infrastructure conditions. Through the program “Safe living place,” repair improvements are carried out to interrupt the deterioration of the residences, as well as sanitary facilities and innovations to improve their public services, such as water collectors and solar lighting. To be part of the development, it is also important to create a community bond. Terra Foundation, through its third pillar, seeks to maintain communication and a relationship of commitment and support to social development initiatives in the different communities where it has a presence. This has been possible through the realization of community diagnoses, dialogues, assemblies, direct negotiations with leaders, executive staff of the companies and the foundation. Currently, there are 400 active communities participating in educational and social development programs in different communities of the region. To achieve 20 years of experience and accomplish great changes and goals in each place where programs have been developed has been thanks to the great team that makes Terra Foundation – a group of collaborators and volunteers with a high sense of commitment, capable and focused on providing development and opportunities for a better future. 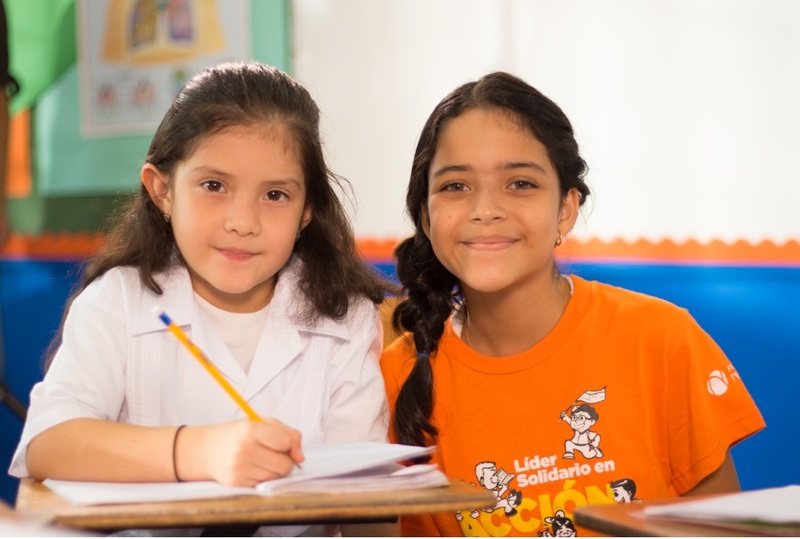 Making important and valuable alliances has allowed us to obtain successful and strengthened programs in Central America, betting for more years to continue contributing every day to more people and communities in order to grant a decent future.